To use this service you must be connected. The next available sales person will contact you immediately. Marathon Lamps. The bulb of a Marathon lamp comes from Philips or Osram, The Marathon lamp is a more economical alternative without compromising on the quality. Easylamps does not sell this type of lamps and raise its consumersâ€™ awareness everyday on the poor quality of these lamps. 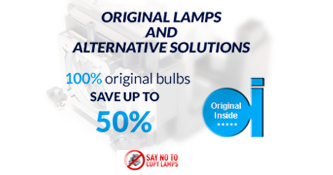 Counterfeit lamps are coming from assembly workshops without expensive and sophisticated tools essential to the quality control required by manufacturers of quality bulbs.